Nammo Talley munitions manufacturer announced today that they have been awarded a five-year, $97.2 million contract which will create 12 new jobs in Crawford, Mississippi, for the production of ammunition for the Shoulder-Launched Multipurpose Assault Weapon system. Their local facility was designed for the assembly and storage of SMAW munitions and similar products. This contract will allow for the re-opening of the facility, which was temporarily closed down in 2014. For more information about Nammo Talley, visit www.nammo.com. From recent conversations with friends I have had over the last month or so, I’m amazed to discover they are not aware of this agency of they have never even heard of it. However, this department is vitally important to the state and it has been in business for decades, although the name has been changed a few times. The Mississippi Development Authority and that team who provided the heavy lifting, who actually wrote the plans and proposals that helped Toyota and Nissan make the decision to put plants here. 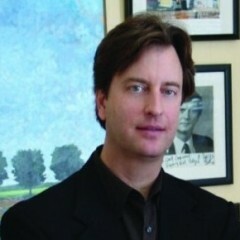 Glenn McCullough is the current head of the Mississippi Development Authority based in Jackson across from the Capitol. McCullough’s long career is significant … McCullough’s leadership in northeast Mississippi is huge and in the coming years, the state will benefit greatly from his long career and current efforts. Simply put, the state of Mississippi could use more economic developers like Glenn McCullough. MSMS, The Mississippi School for Mathematics and Science, was recently awarded a generous grant by the Rural Utilities Service (RUS) and the United States Department of Agriculture (USDA), to the tune of nearly $500 thousand. The money will be used to create a distance learning network within the state. MSMS has already partnered with seven other middle & high schools in this endeavor, and plans to add more over the next few years. MSMS Executive Director Dr. Germain McConnell. 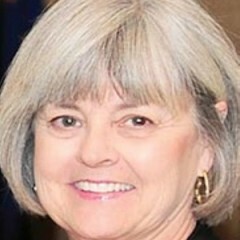 The grant will be made available in the form of mobile, modular equipment that can be moved among disparate locations easily, rather than as a cash grant. The program is planned to formally launch this Fall, with the partner schools each having access to a math class and to a science/computer science class. The intention is to add another two classes for each school every year. The hope is that they will be able to reach several thousand students per year by the time things really get rolling in a few years. The current grant is scheduled to last for three years, beyond which time MSMS will need to solocit other means of funding in order to continue to maintain and grow the project’s scope. The ultimate goal is to further MSMS’ already-impressive outreach efforts. Their already-existing outreach efforts help roughly 3,100 students. The Mississippi School for Mathematics and Science is Mississippi’s only public, residential high school specifically designed to meet the needs of the state’s most academically gifted and talented students. Located in Columbus, Mississippi on the campus of the Mississippi University for Women, MSMS has been a national leader in STEM education since its 1987 founding. The school serves Mississippi high school juniors and seniors, and is a member of the National Consortium of Specialized STEM Schools. Regularly recognized as one of nation’s best high schools, the graduating class of 2015 alone was offered more than $21 million in academic scholarship dollars from universities all over America. MSMS has recently been singled out for its work by national publications like the Atlantic and National Public Radio. For more information about MSMS, please visit www.themsms.org. Restaurant news in Columbus — Parkside Diner, New & Improved Burger King Coming Very Soon! Danny and Wendy Cameron, who once ran the Front Door/Back Door in downtown Columbus have announced their latest venture: Parkside Diner. It will be located at 2625 Main St, in the old Shipley’s Donuts building across from Probst Park, and is expected to open its doors as soon as the end of the month; possibly in early April. The venue is designed to evoke the look and feel of a 50’s-style diner, complete with a jukebox, 45’s on the counter, and – eventually – real rootbeer floats and milkshakes. They will offer soups, salads, and sandwiches as their primary fare, with Mennonite-baked bread delivered fresh every morning. A breakfast menu is in the works, as well. At first, they plan to be open from Tuesday through Saturday each week, from 10 AM to 3 PM each day, with a small staff. 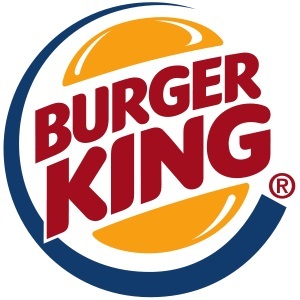 The Burger King at 119 Alabama St near the Food Giant is currently undergoing extensive renovations –It is expected to reopen in about a week, on March 12, with a brand-new, expanded kitchen, totally re-done dining room, and a modernized exterior. In addition, a new Burger King will be opening at 604 18th Ave, next to the Cracker Barrel. It is expected to open in mid-June, and will employ 30-40 local workers. It will be built at the former location of Smith’s Landscaping, which has moved into the old Barnhill’s building just down the street, and is open for business as we speak! The Golden Triangle area is home to all sorts of manufacturing companies that bring new jobs to our area, and another one is on its way! Officials from Sleepmade, manufacturer of advanced sleep products, announced on Wednesday morning that the company will be investing $1.415 million in our economy, and creating 50 jobs by locating manufacturing and distribution operations in Lowndes County. Our region is already a powerhouse, and this is just one more notch in our belt, proving that we have what it takes to compete on the national scene. And that’s Good for Business. The new Parker-McGill mega-dealership project on Highway 12 is moving along right on schedule; the investors announced this week that they are ready to open a temporary lot to begin selling vehicles. The group is investing $21 million into the 26-acre parcel, with plans for multiple car dealerships, residential units, and office space in the very near future. The ambitious project was fueled by a $3 million TIF bond, which was used to fund significant infrastructure on the site. All told, the site could eventually bring nearly a half million dollars per year into the local tax base, on top of the impact on the workforce. The temporary lot should be open for business within the next thirty days or so, and the full dealership complex is planned to be up and running by the end of August. The Columbus Convention and Visitors Bureau snagged a big one this week, hosting the state tourism association’s spring conference. It’s always good to have a few hundred high-energy PR type people in our area – especially when they are cheerleaders for our state. The group will get to see first-hand how strong downtown Columbus is, and the exponential growth we have seen in the Golden Triangle in general over the last ten years. Kudos for the CVB for getting them here…I’m sure all of our local businesses are grateful. The conference – which runs through today – is one of the largest gatherings of tourism professionals in the state; it will bring more than 200 attendees to the city, according to a press release. Columbus-Lowndes Convention and Visitors Bureau Executive Director Nancy Carpenter told The Dispatch Monday that she’s attempted for several years to convince the MTA to bring the conference here: “This is a tremendous opportunity,” she said. “We’ve worked hard to make sure the town looks great, and it always does…We’re very proud of our city and very supportive.” Carpenter also said that the group holds major conferences in the fall and in the spring in various cities statewide. Kappi Allen, MTA president and executive director of the Clarksdale Coahoma Tourism Bureau. Carpenter commented that the conference provides a great way for new visitors, in particular, to learn more about Columbus, including international visitors. 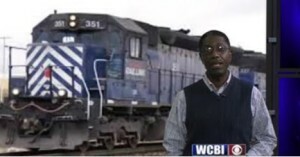 WCBI did a nice piece on a recent visit by Grenada city leaders to Columbus. The downtown Columbus area grew by leaps and bounds in the mid 2000’s under the leadership of Jan Miller and Amber Brislin. Main Street Columbus has become the gold standard for the state, and now Director Barbara Bigelow is at the helm of the organization. While some large businesses in the Golden Triangle have elected not to use rail to aid in transporting raw materials and finished goods, others, such as Weyerhauser and Yokohama, embrace it. Rail transport has been reported to be one of the major factors in granting a competitive advantage when it comes to landing large business contracts; it also provides an economical means of transport that is not dependent upon road or river conditions in order to function properly. Yokohama spent about $7 million to bring a railroad spur out to their West Point facility, where it is an indispensable part of their process. The Hardee’s on Hwy 45 recently held their Grand Re-opening, showcasing their newly-expanded and renovated dining room. The Columbus Chamber of Commerce held a ribbon cutting to celebrate the event, which marked the culmination of a several-months-long expansion and complete remodeling of the dining area, which was extended by about ten feet. The interior was completely redesigned, and now includes a curvy seating section with large circular booths for families or other large groups; the addition of new tables in order to handle more customers at a time; and a raised “bar” section with stools, wi-fi, and outlets for laptops/chargers. Long-time patrons of the store will be glad to know that the restrooms have been totally redone, as well, and moved inside the actual main building. Imagery meant to evoke the city of Columbus itself – including a prominent mural representing The W– serves a distinctive feature of the venue. I’d like to applaud the ownership group for their investment in improving and completely remodeling their property – it helps our community, and our tax base. As with a many other businesses featured on this blog, the ownership is all local. Their food in general – and especially their fresh-made, hot breakfast biscuits, have been a hit with locals for many years, now, as has their friendly, smiling staff. Come on out and give them a try sometime!